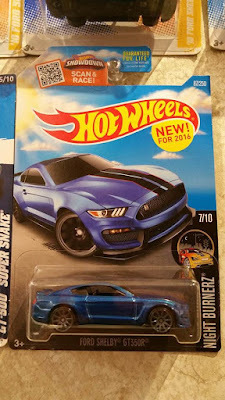 Found on 2015 card with number being an error. 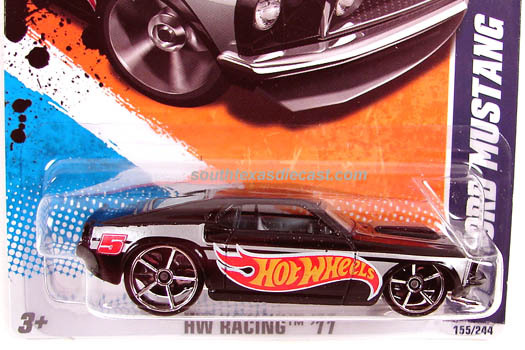 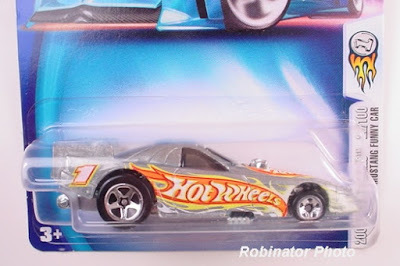 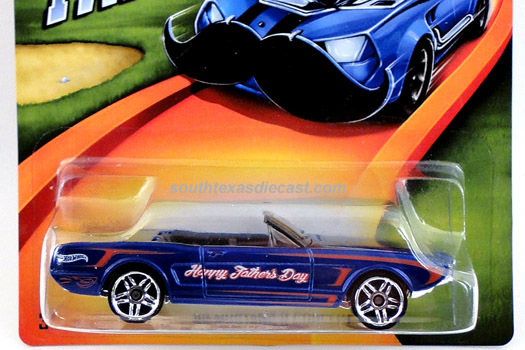 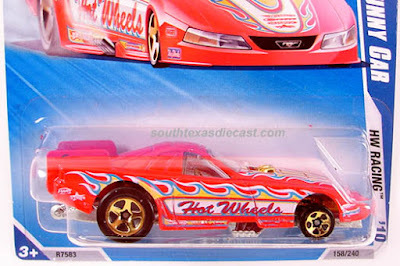 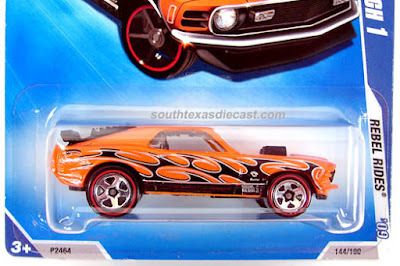 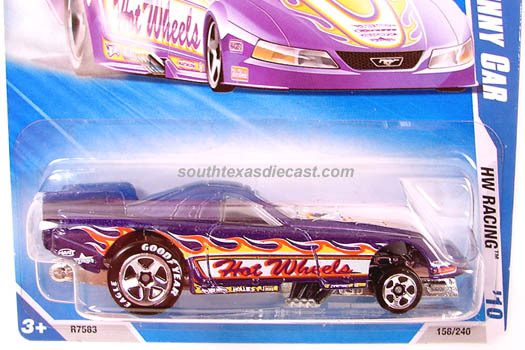 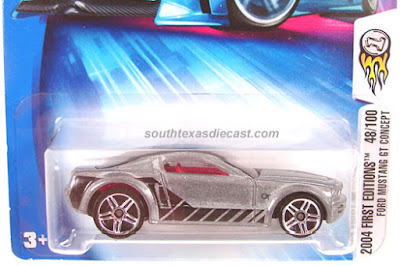 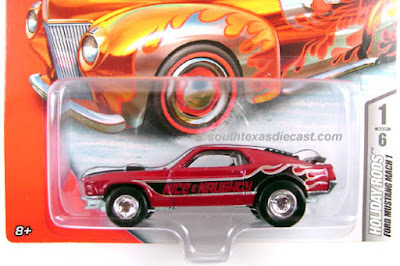 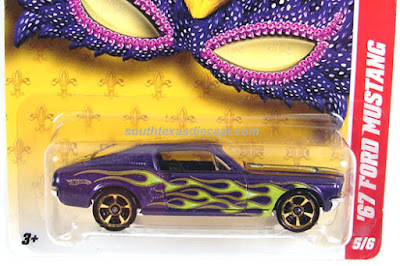 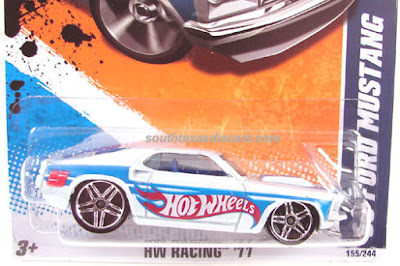 Every year Hot Wheels produces certain castings to be only exclusive to Wal-Mart. 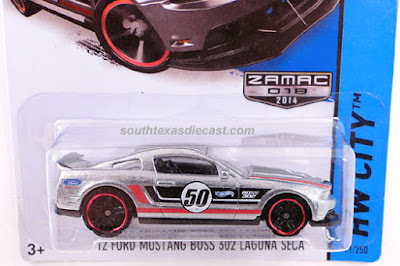 They either put out cars with red line tires on them or do what is called ZAMAC's. 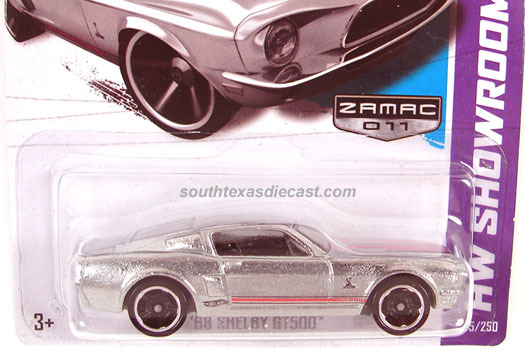 ZAMAC stands for Zinc, Aluminum, Magnesium, and Copper Alloy. What this means is a ZAMAC is a casting with no paint applied. 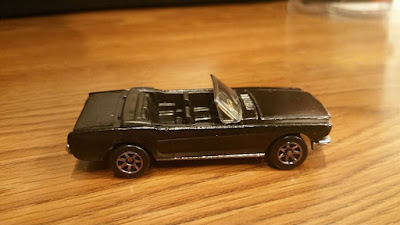 It's bare metal with a clear coat applied. 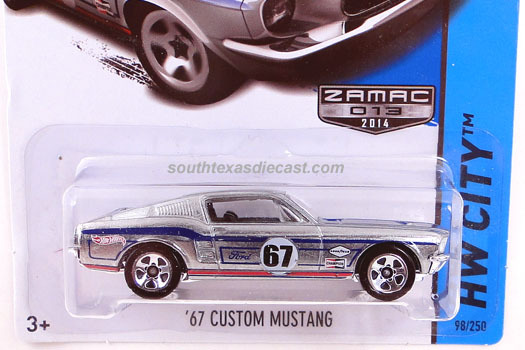 Here are the Mustang ZAMAC's that have been released over the years. 2014 was the 50th anniversary of the Mustang. 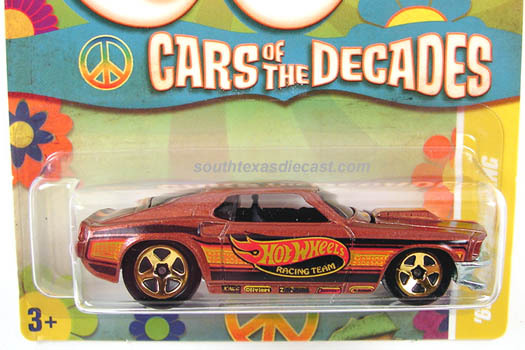 To commemorate it, Hot Wheels put out this set. It was only found in Wal-Mart stores and featured eight different Mustangs. This Mustang had a metal base, the only Mustang in the set to do so. Was labeled wrong on the card. 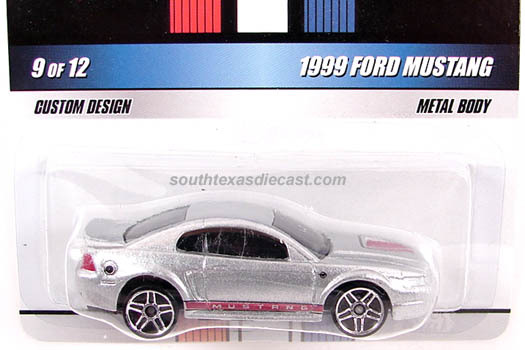 It's actually the '98 Mustang Cobra casting. 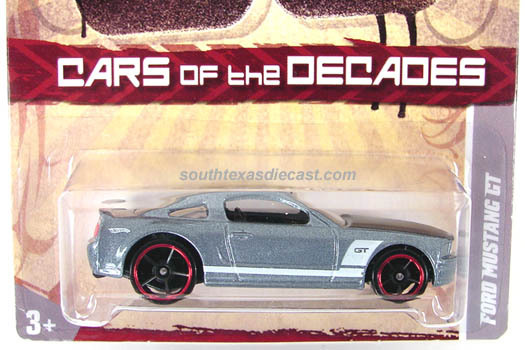 This series debuted in 2011, came back out in 2012, and was only found at Wal-Mart stores. Here are the Mustangs that were released for this series. These Mustangs are part of the Holiday Rods. 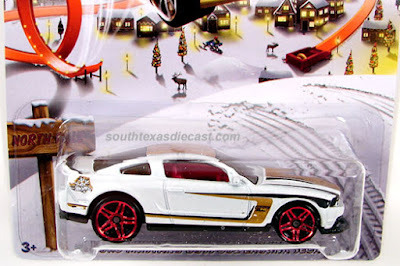 They are released every year before Christmas and are only sold at Wal-Mart stores. 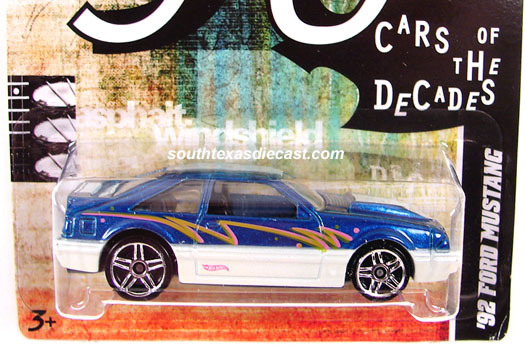 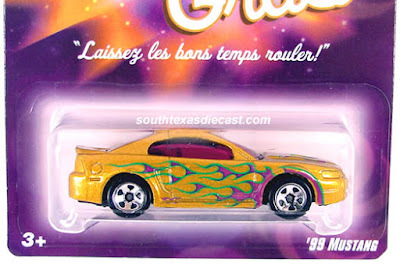 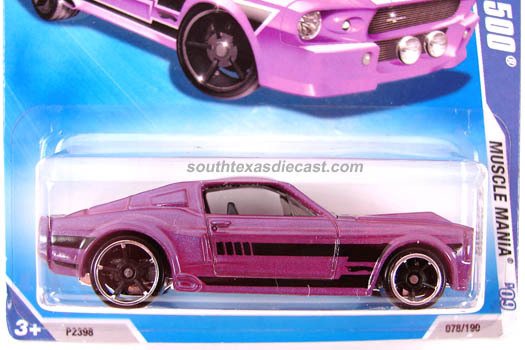 The 2007 Holiday Rods featured Real Rider tires and each casting got three different colors. 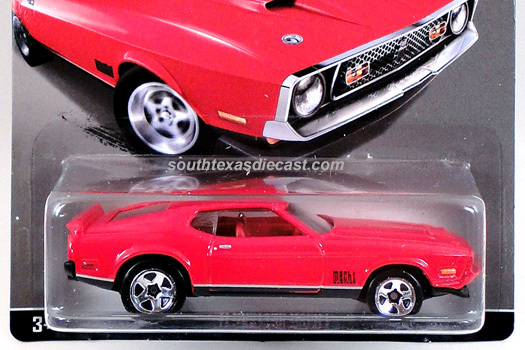 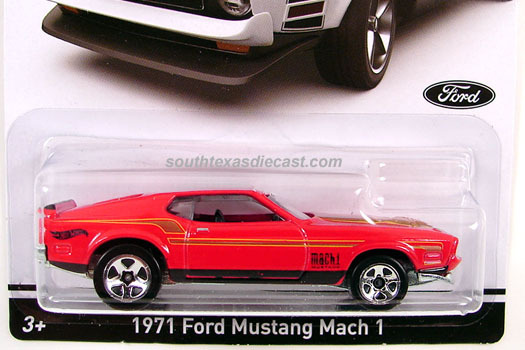 The '70 Mustang Mach 1 got released in the 2007 Holiday Rods. 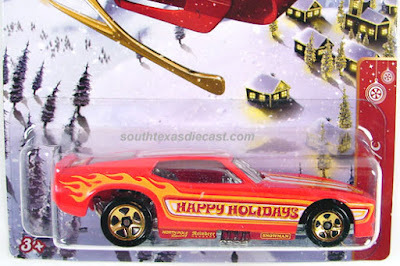 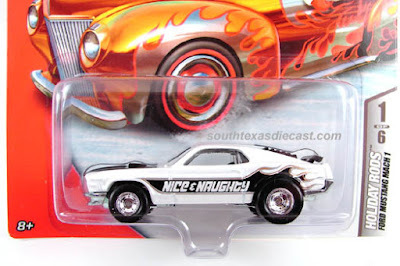 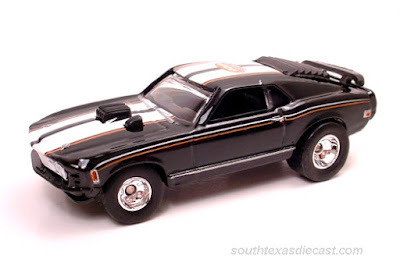 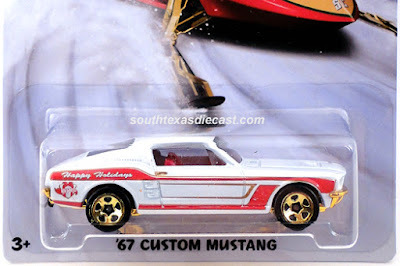 The '71 Mustang Funny Car got released with the 2012 batch of Holiday Rods. 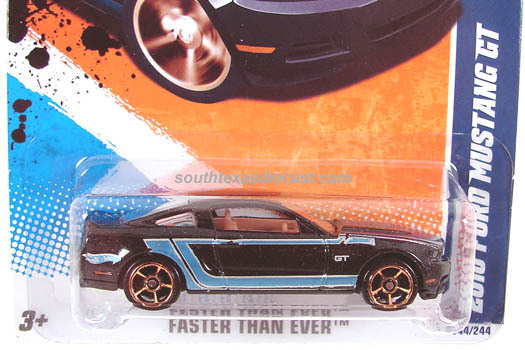 The '12 Mustang Boss 302 was included in the 2013 Holiday Rods. The custom '67 Mustang and '10 Shelby GT-500 Super Snake was included in the 2015 Holiday Rods. 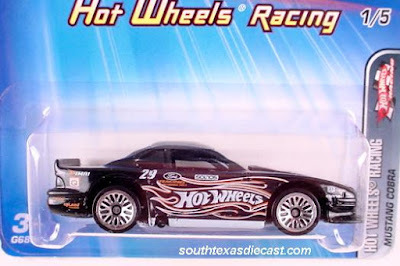 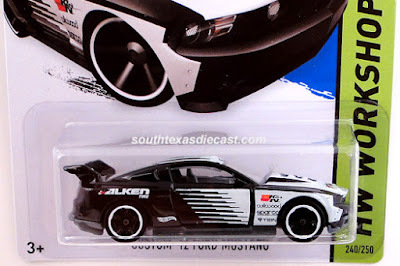 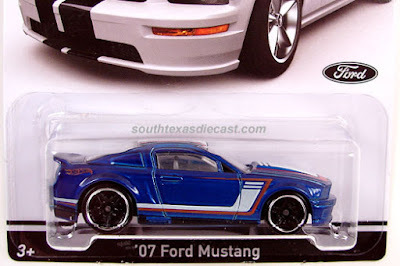 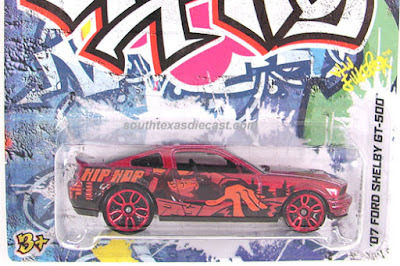 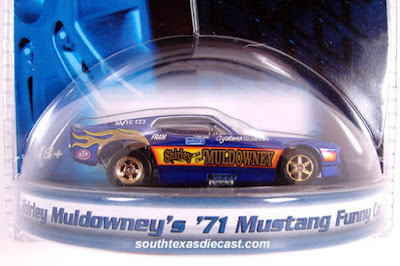 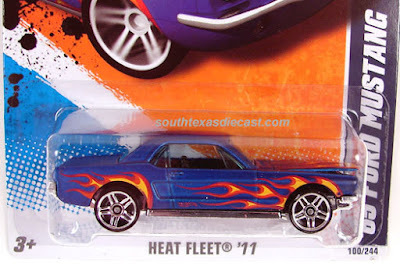 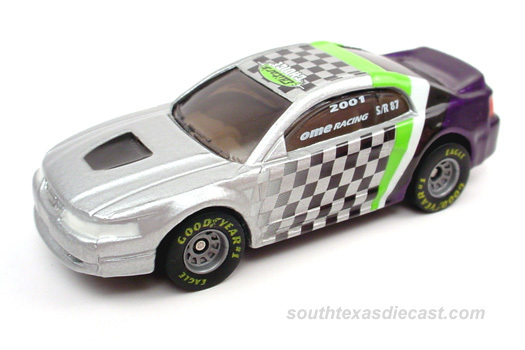 In 2008 these Mustangs were released and only found in AutoZone stores. 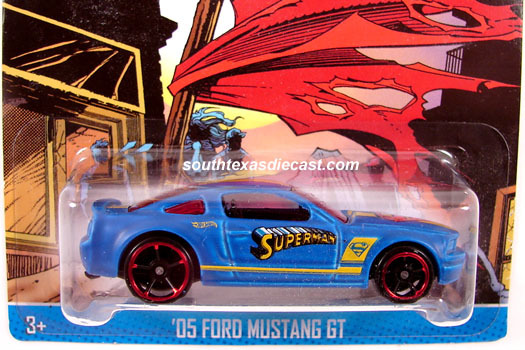 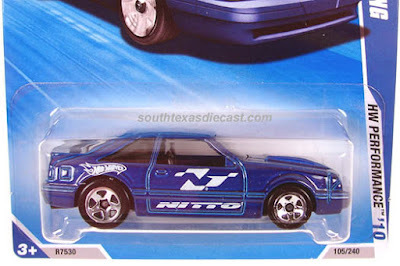 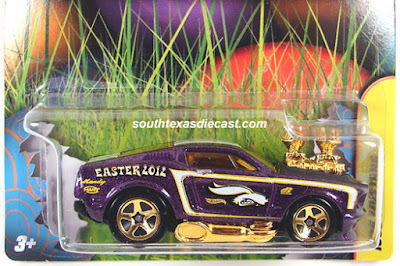 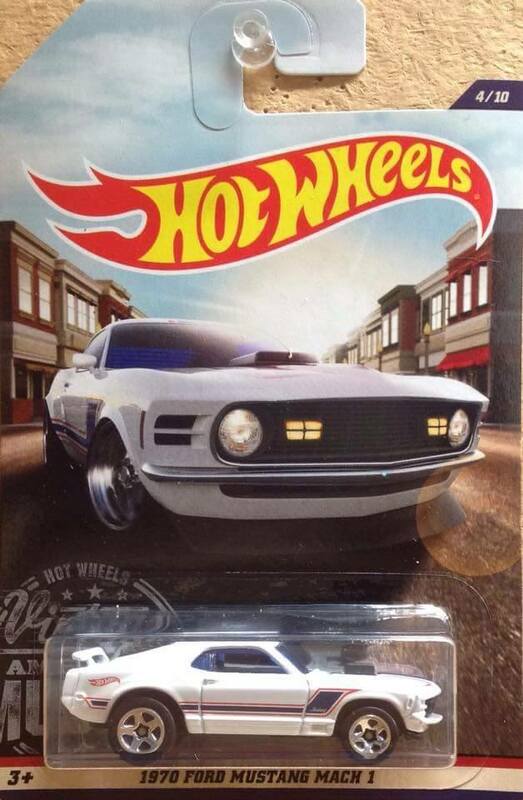 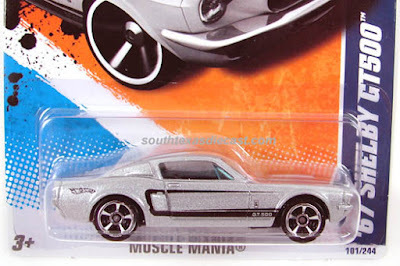 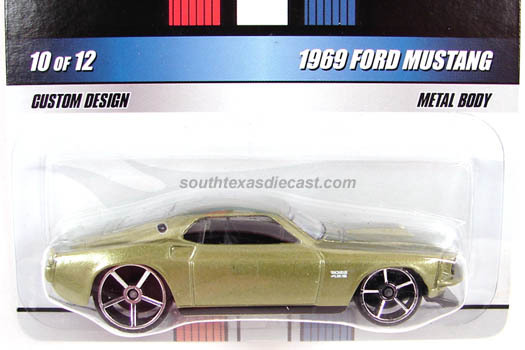 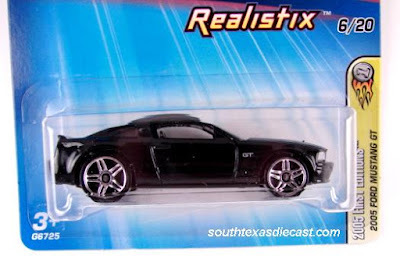 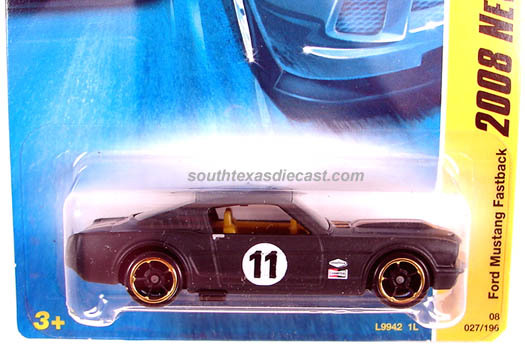 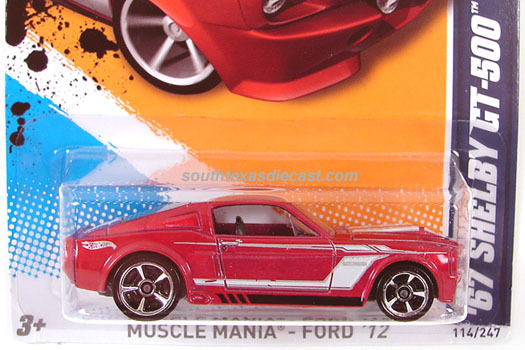 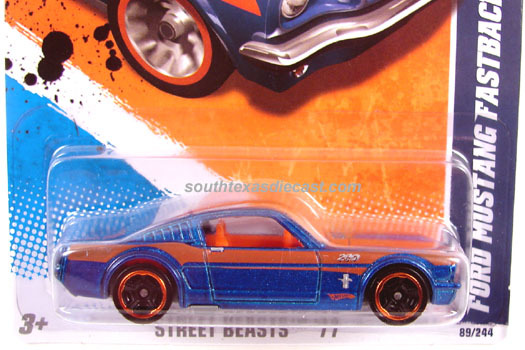 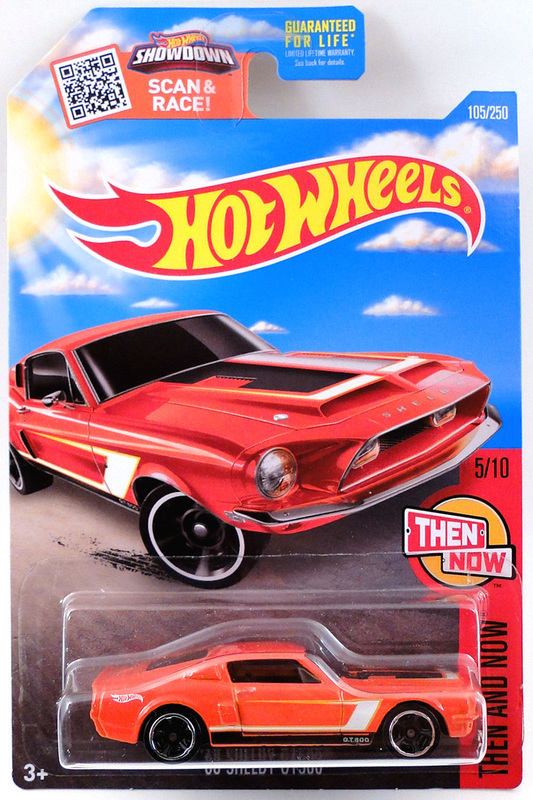 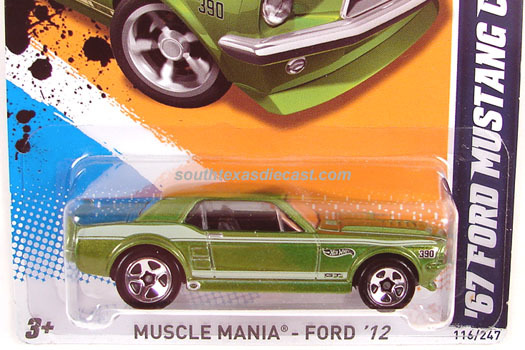 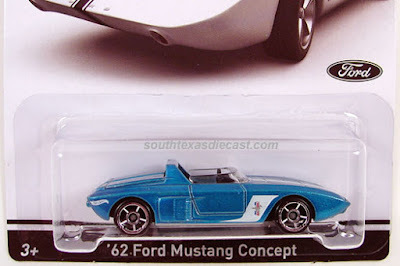 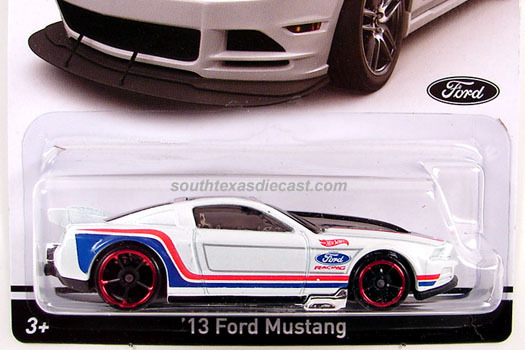 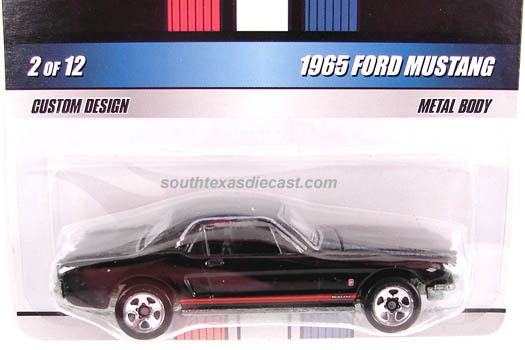 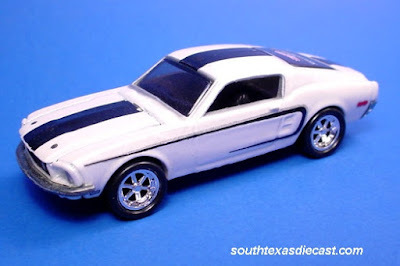 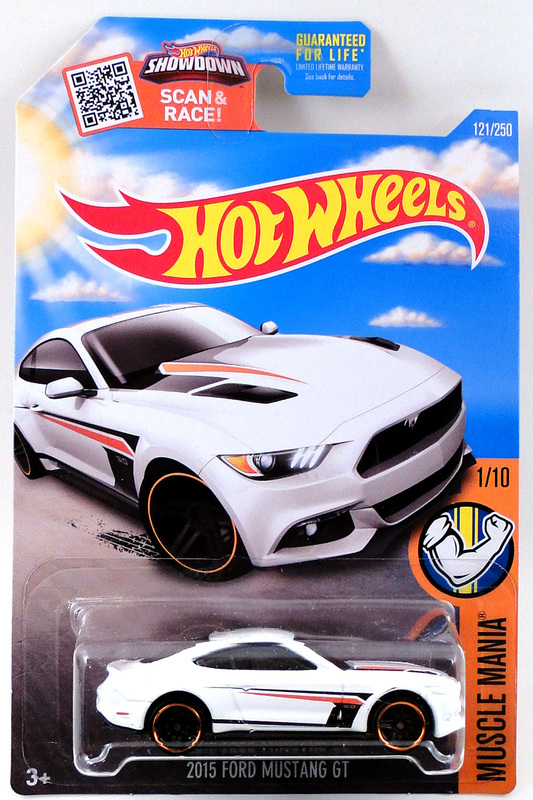 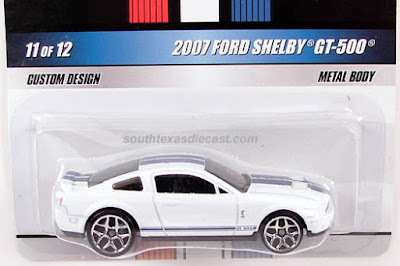 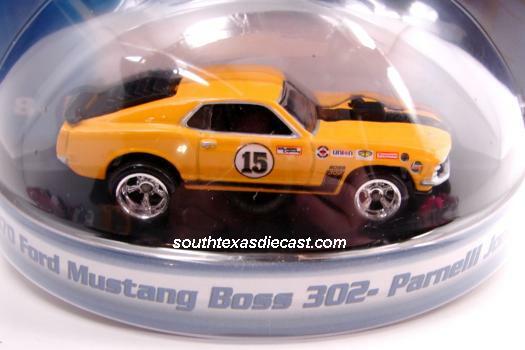 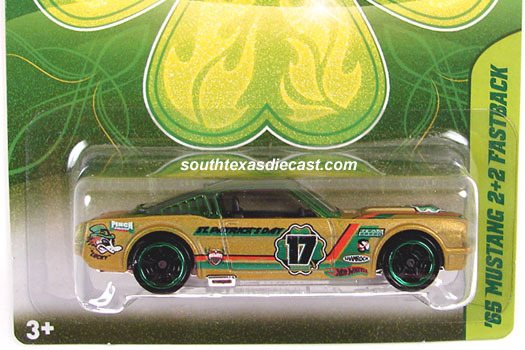 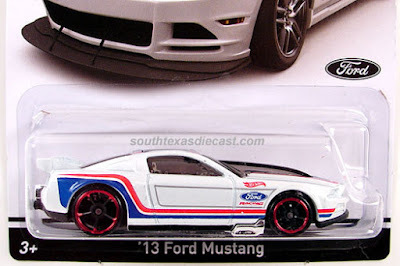 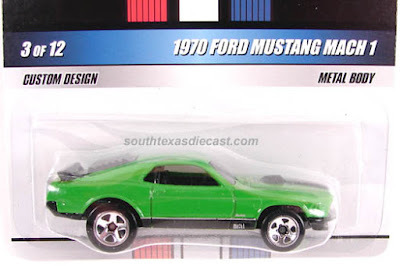 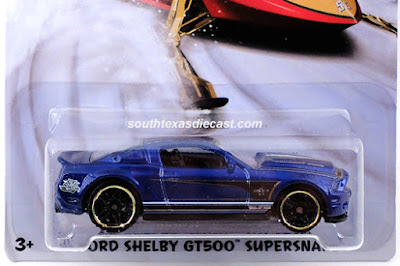 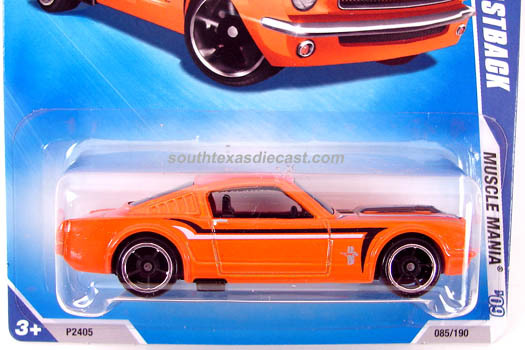 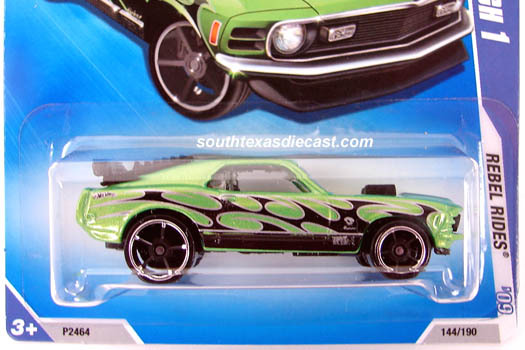 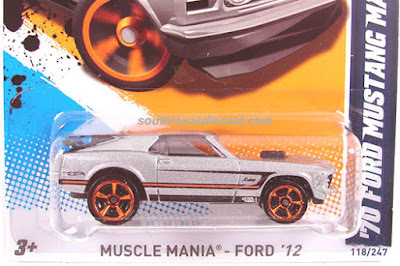 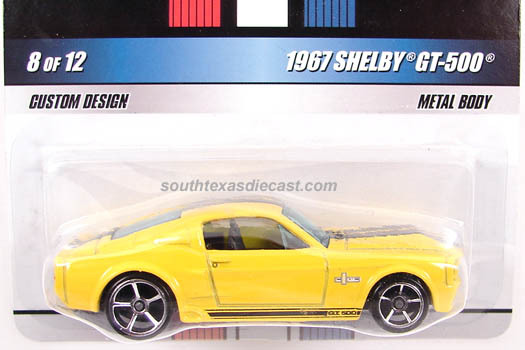 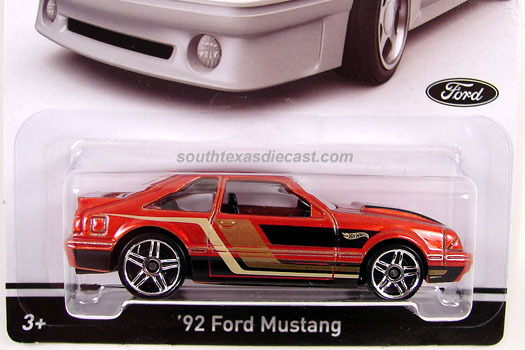 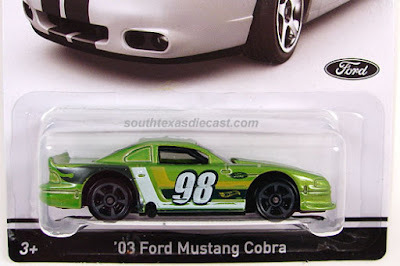 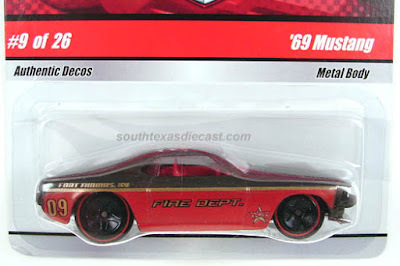 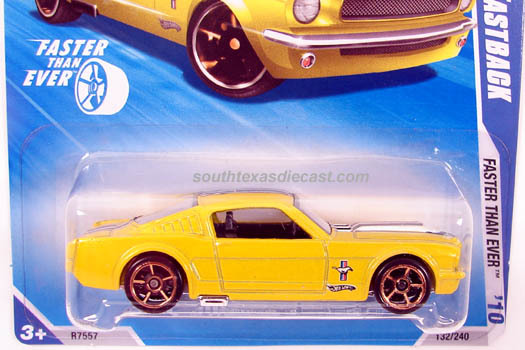 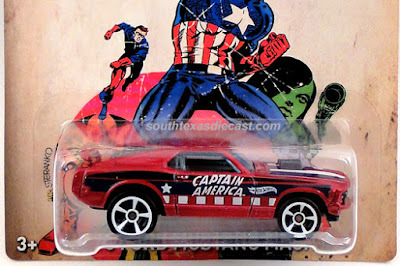 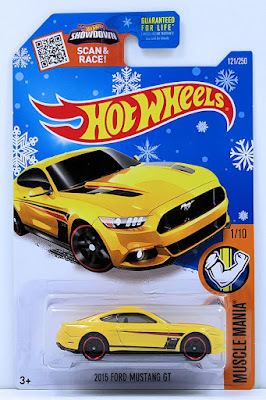 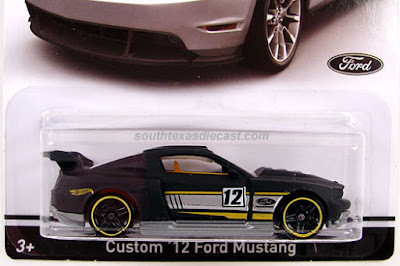 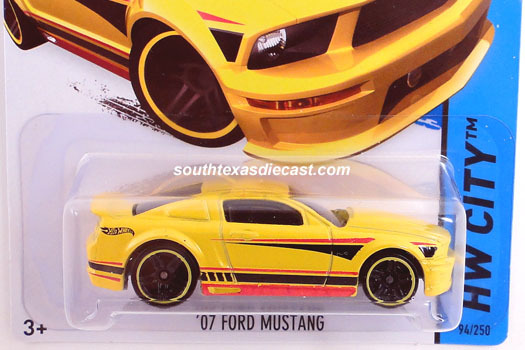 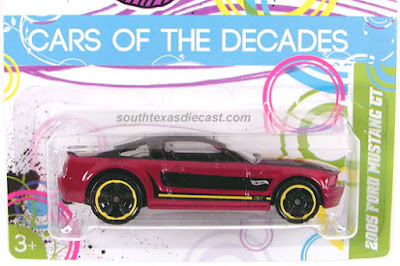 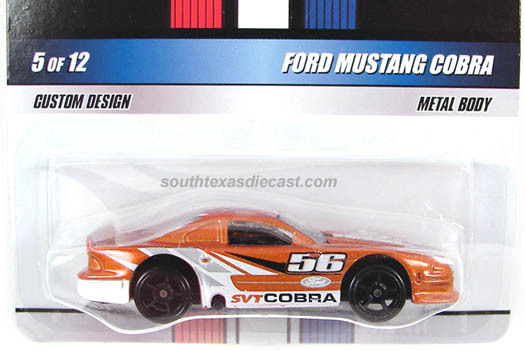 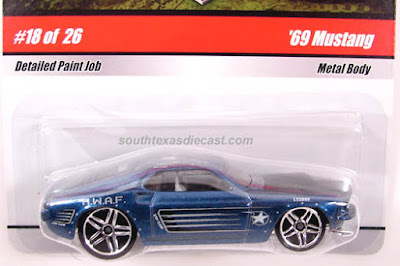 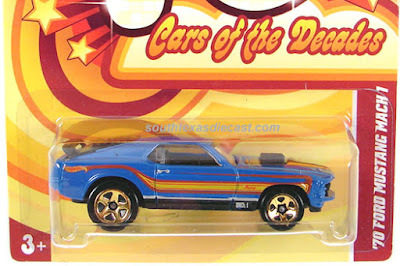 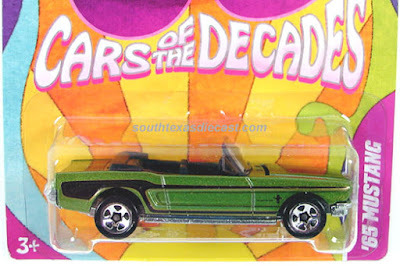 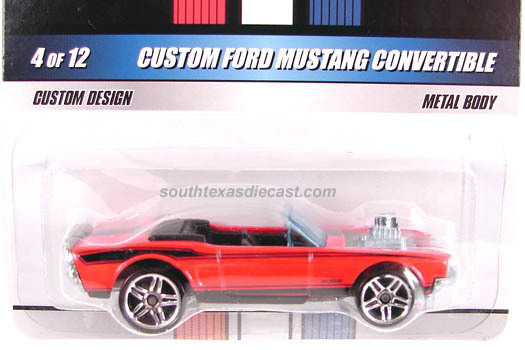 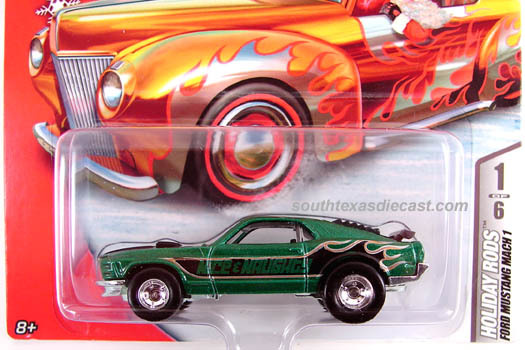 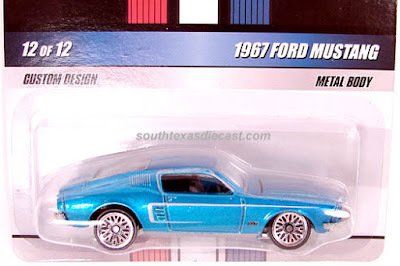 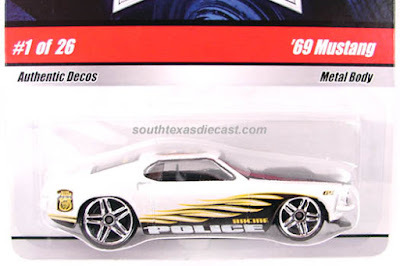 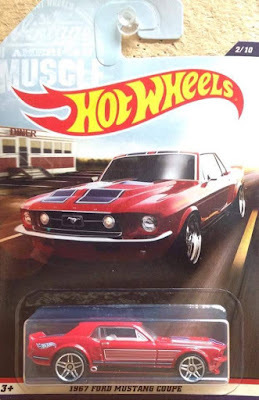 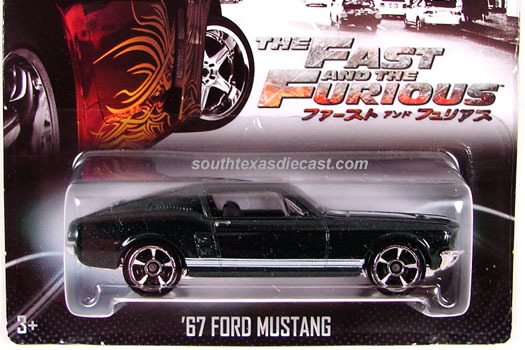 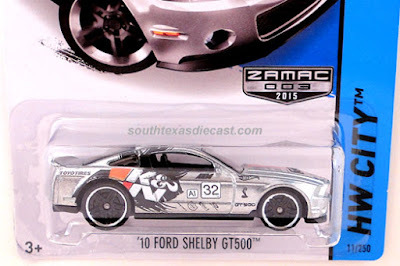 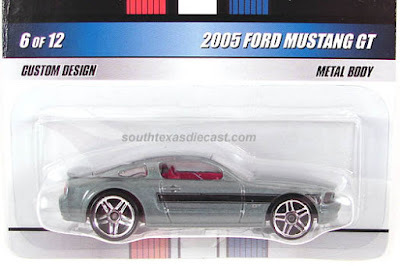 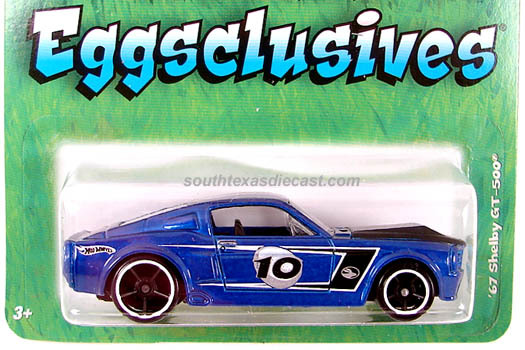 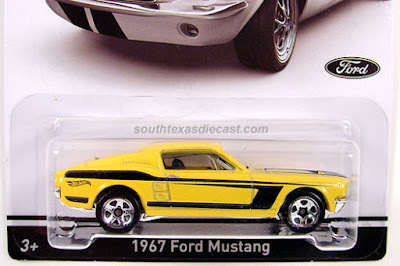 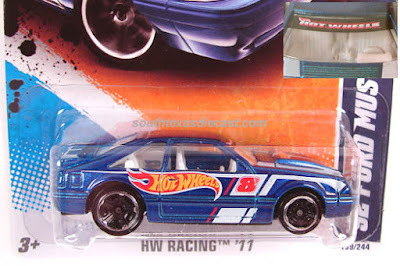 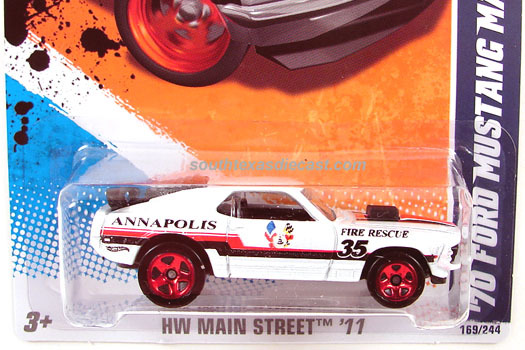 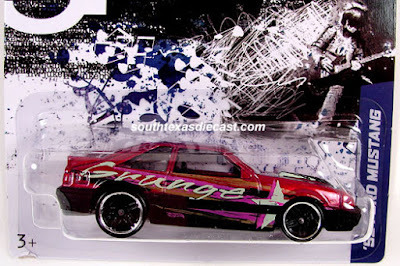 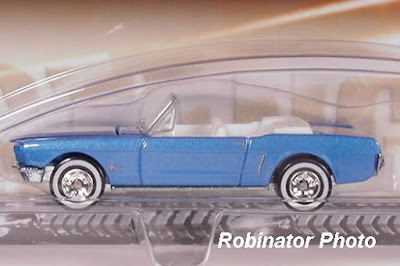 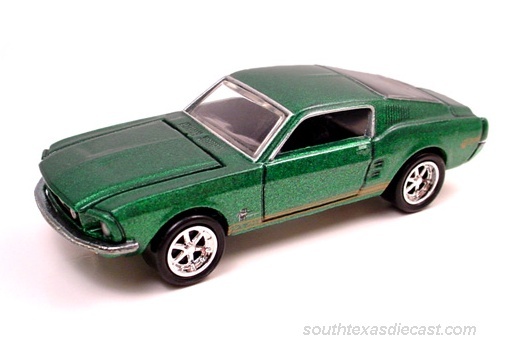 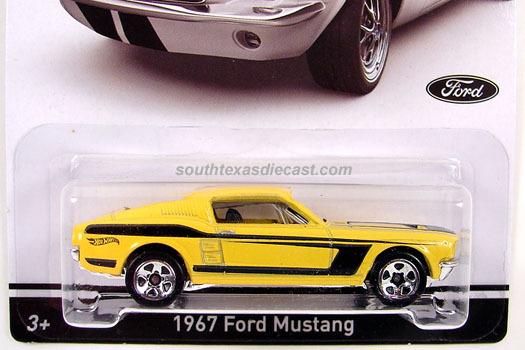 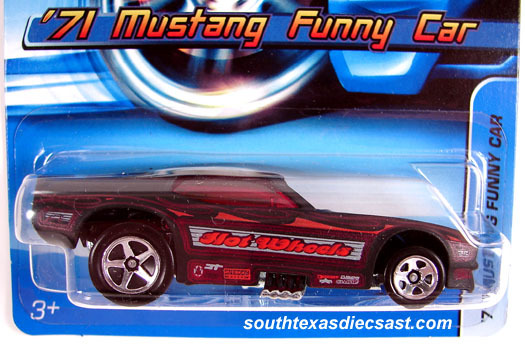 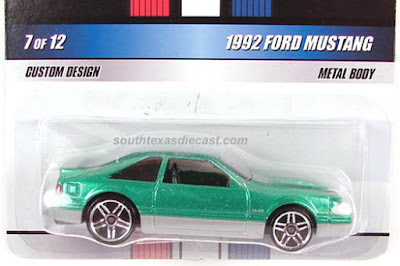 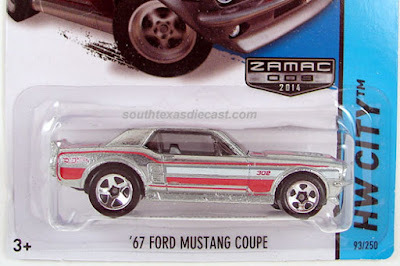 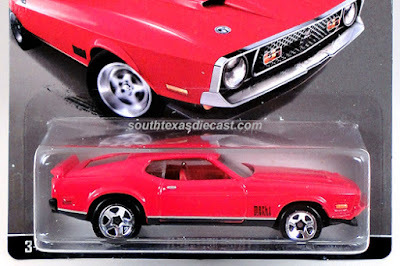 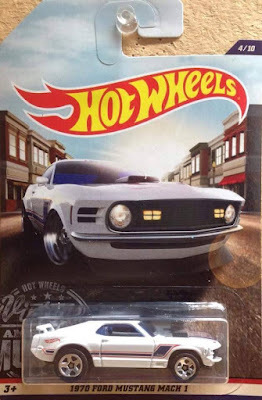 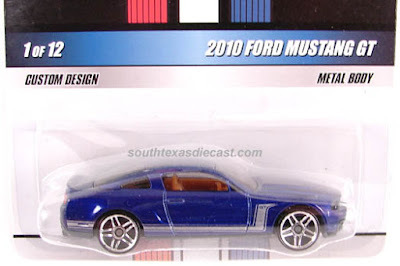 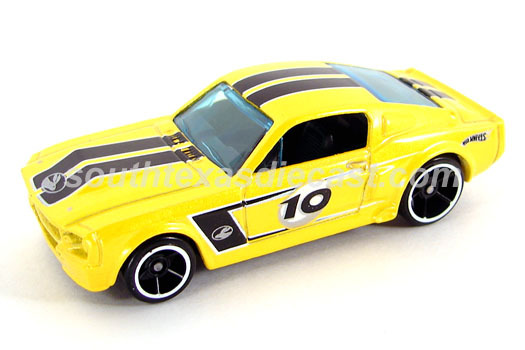 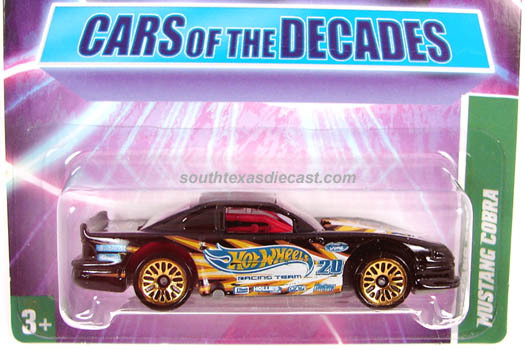 The very last Mustang of the set was only available online as it was not found at the retail level. Was also found with wide OH5 rear wheels.